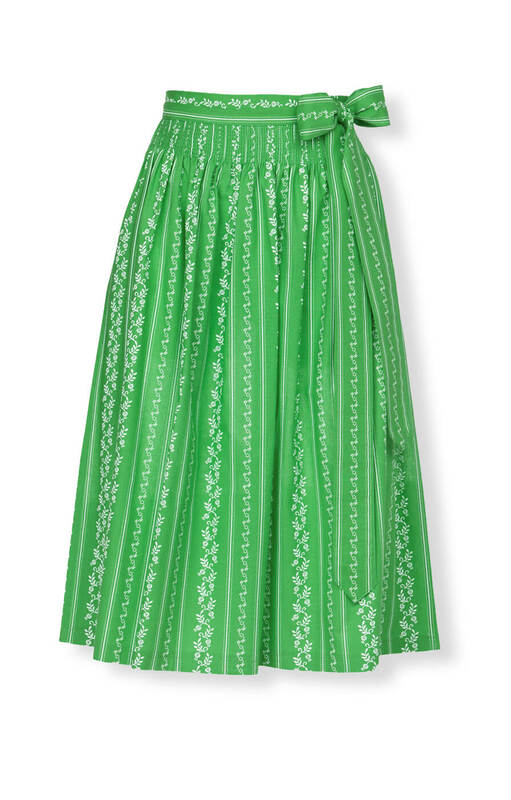 Finish off your dirndl with a gorgeous green apron. Green symbolizes fresh beginnings, and this light green dirndl apron adds a completely new look to your last season's black or coloured dirndl. The delightful white-on-green vertical pattern of floral scrolls, stripes, and dots brings the eye down to your pretty shoes, while the delicate smocking at the waist ensures the apron fits neatly. Generous apron strings add an additional flowing look and are easy to tie. Wear this striking 100 per cent cotton knee-length apron over a dirndl to your next party or festival and see heads turn.